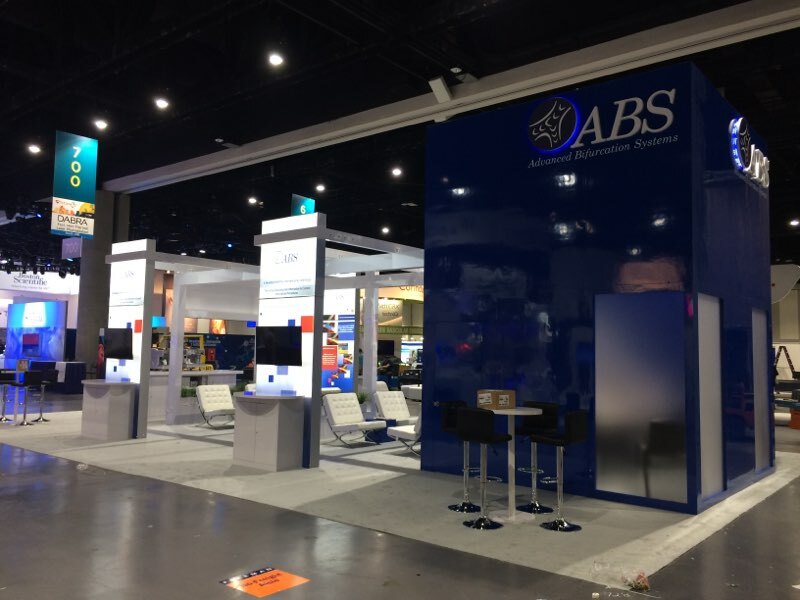 This 30x50 custom trade show booth was designed for ABS for the Transcatheter Cardiovascular Therapeutics Conference in San Diego, California at the San Diego Convention Center. 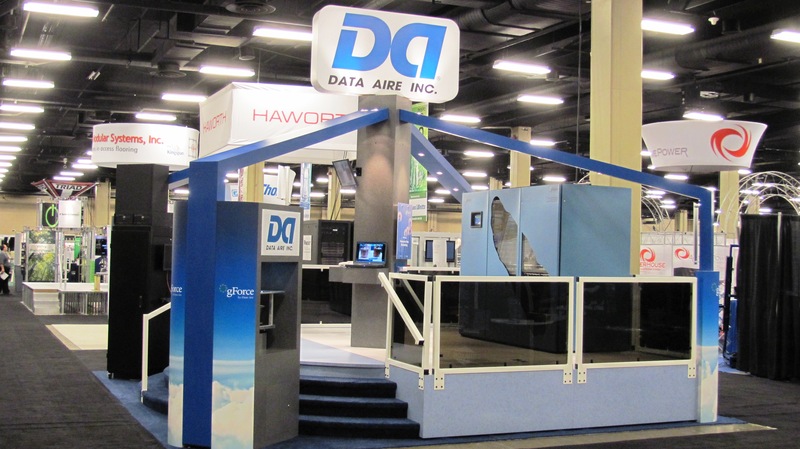 This custom trade show exhibit is made of a laminated hard wall panel meeting room, light box graphic towers, custom canopies, and "Halo Lit" 3-Dimensional logos. 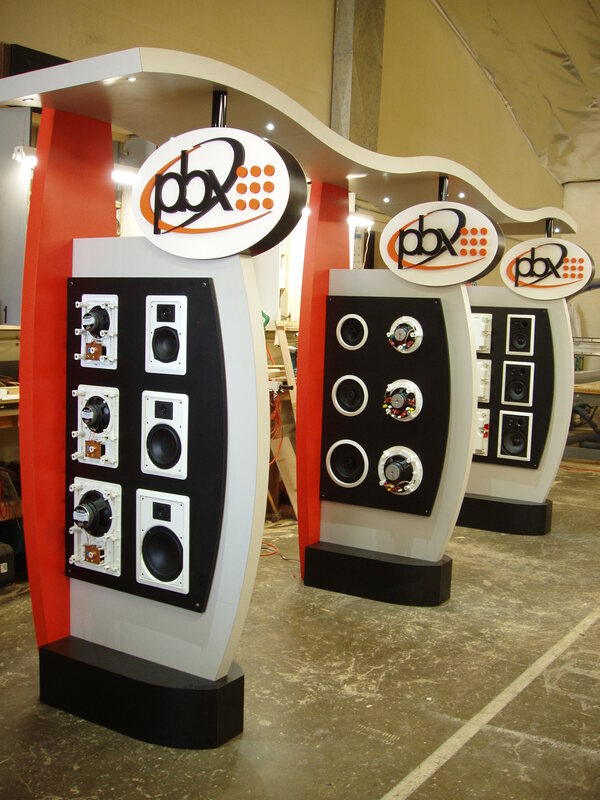 Each twelve foot tall light box uses a printed fabric graphic. GreveCo. 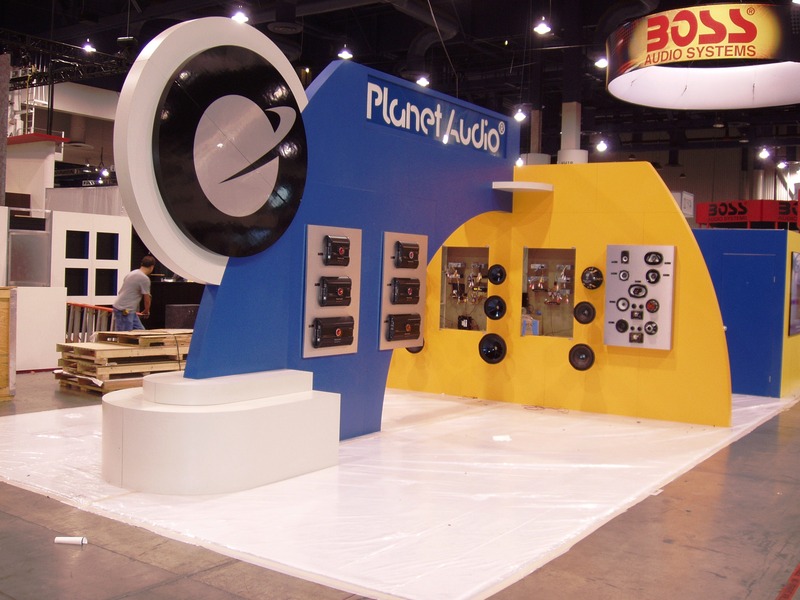 Displays engineered and manufactured this 20x20 Environment Booth. 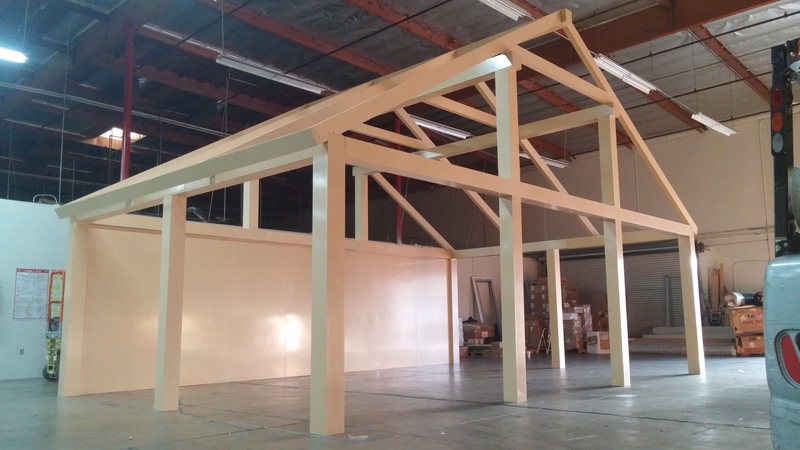 Custom built for the Natural Products Expo West show in Anaheim California. 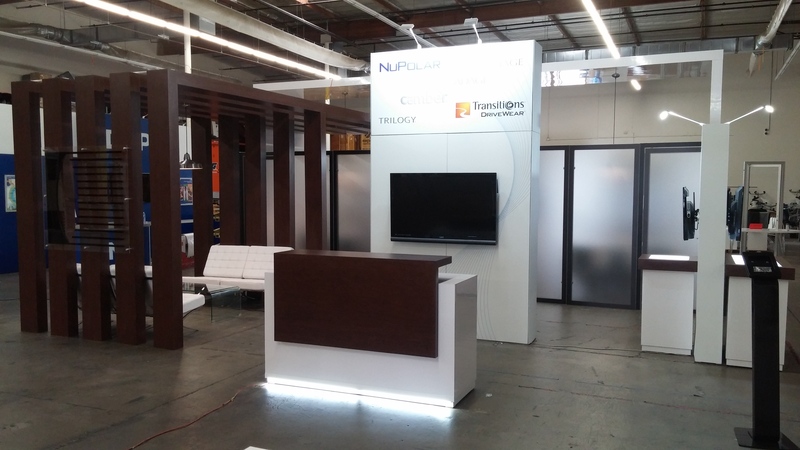 There is a storage tower in the center, 2-sit down meeting areas, 2-reception areas, and graphics throughout. This entire booth ships in 3 crates. 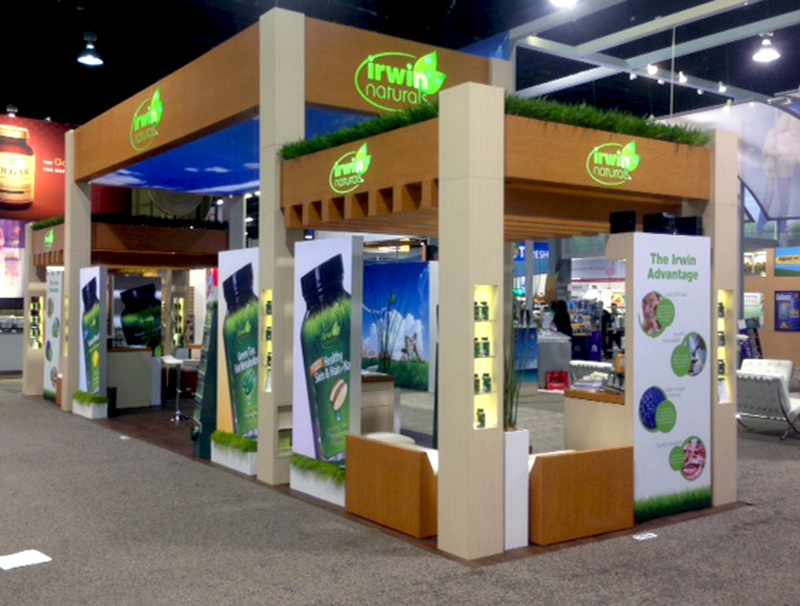 This 10x40 linear tradeshow booth was built for Irwin Naturals, for the Natural Products Expo West show in Anaheim California. Look closely and you will see lots of detail. GreveCo. 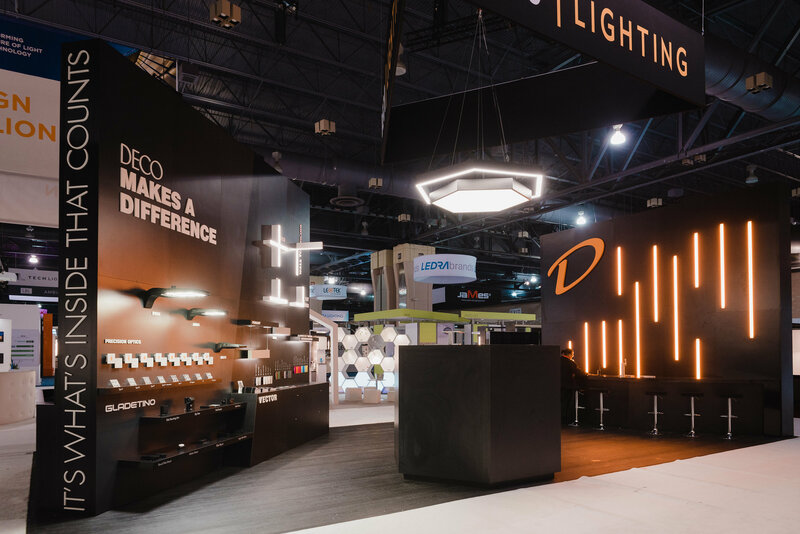 Displays is all about the details. 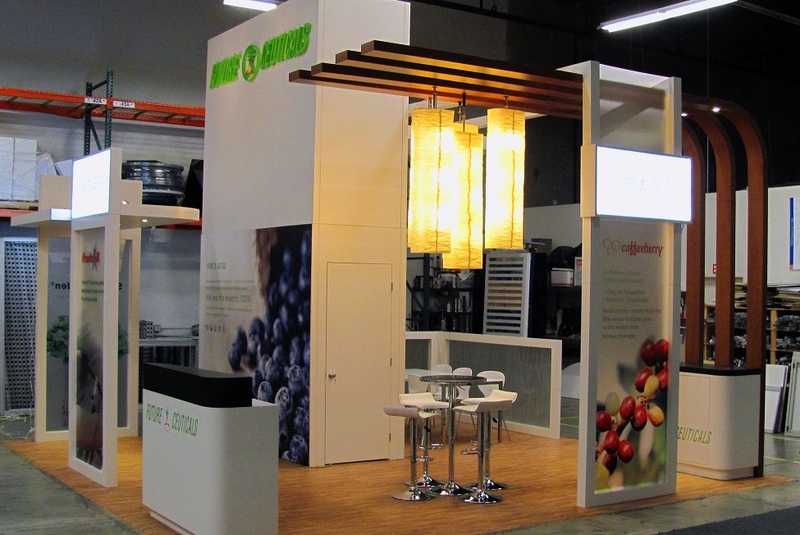 Some particular elements to note are the back-lit and "pierced-through" dimensional logos on all headers, back-lit fabric "Sky" graphic, grass detail on the top of the headers, displays in each column with up and down lights, custom bench seats inside the booth, and custom upholstered stools to match the benches. 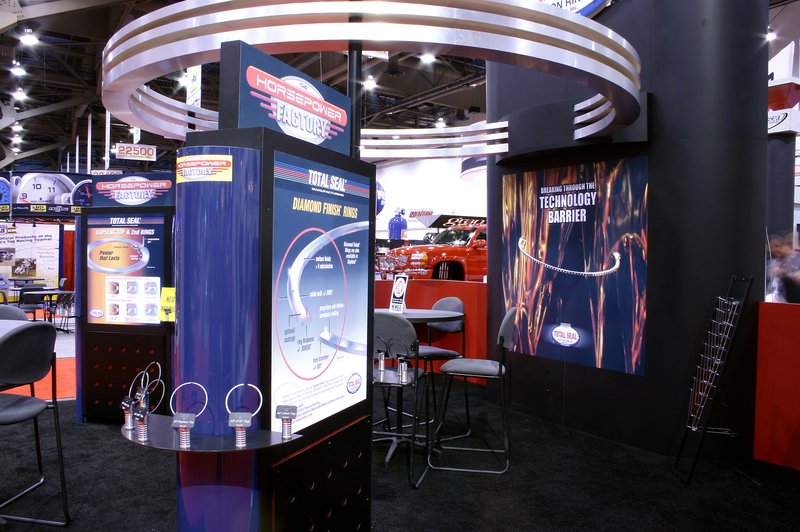 Custom Autosound Mfg., Inc. was established in 1977. 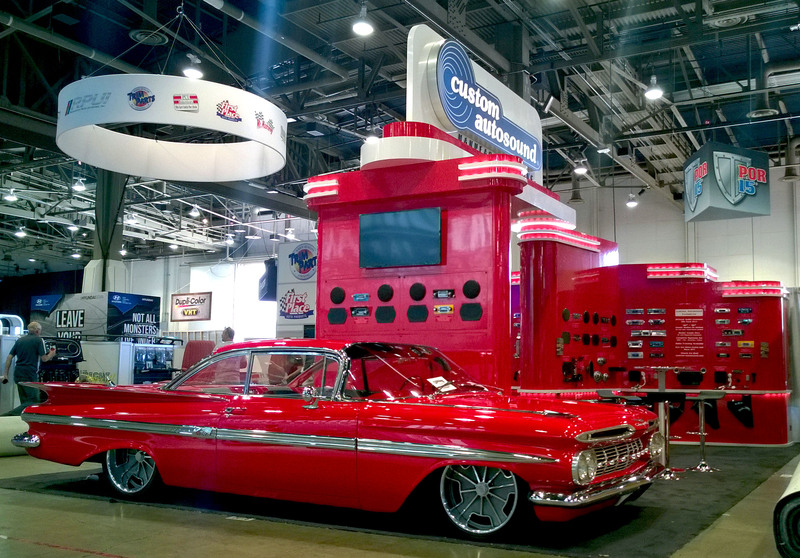 They now manufacture radios for over 400 different makes and models of classic cars and trucks. 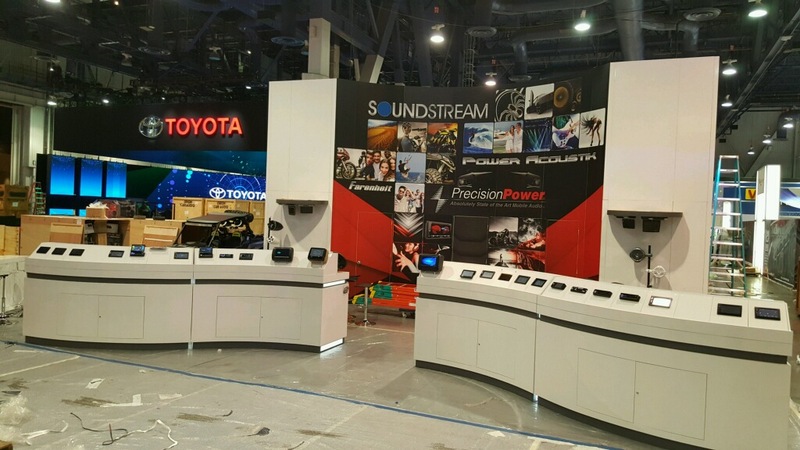 Radios that look like the original equipment that came with the car, but are actually new technology in the inside of the radios. 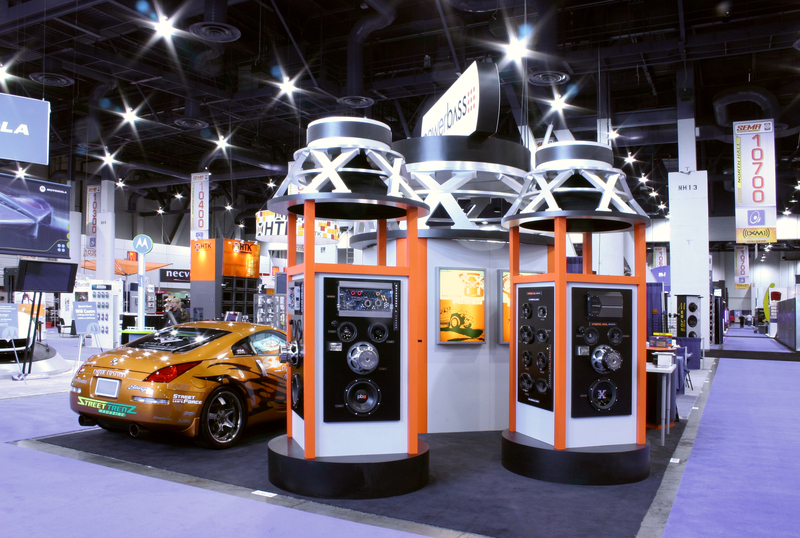 Custom Autosound Manufacturing is located in the city of Fullerton in Orange County California. 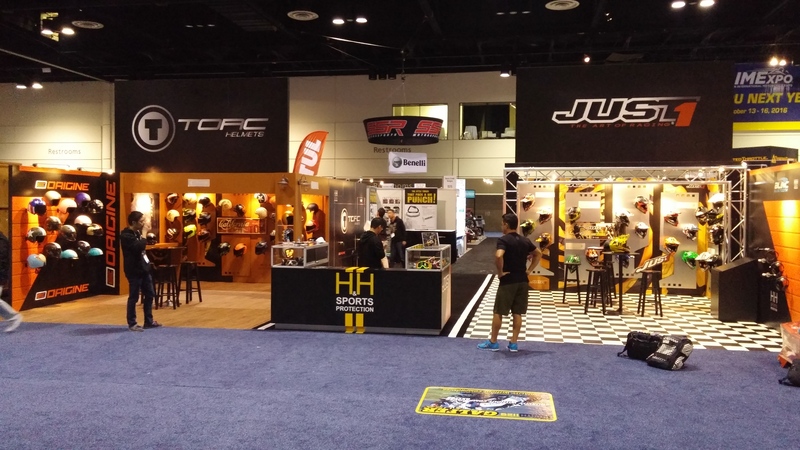 GreveCo Displays and Exhibits is located in the city of Orange and also located in Orange County California.